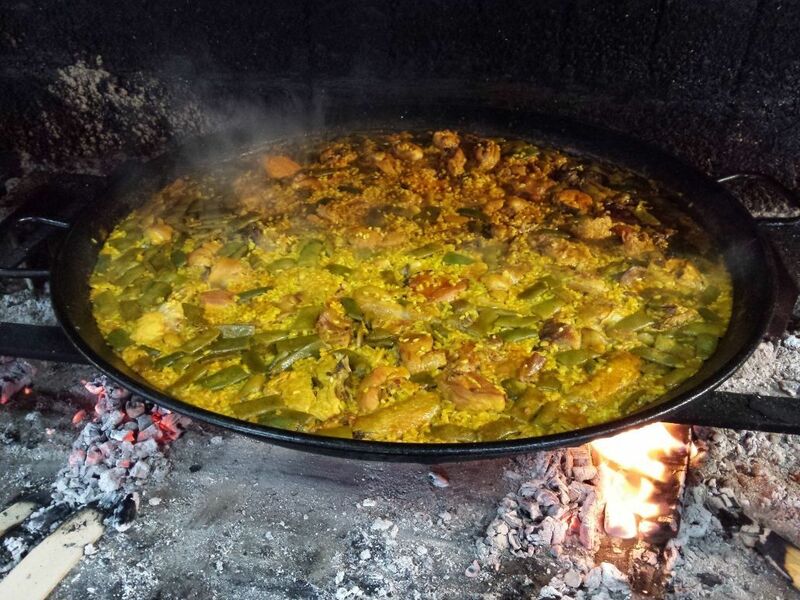 Learn how to cook the authentic Valencian paella with denomination of origin. 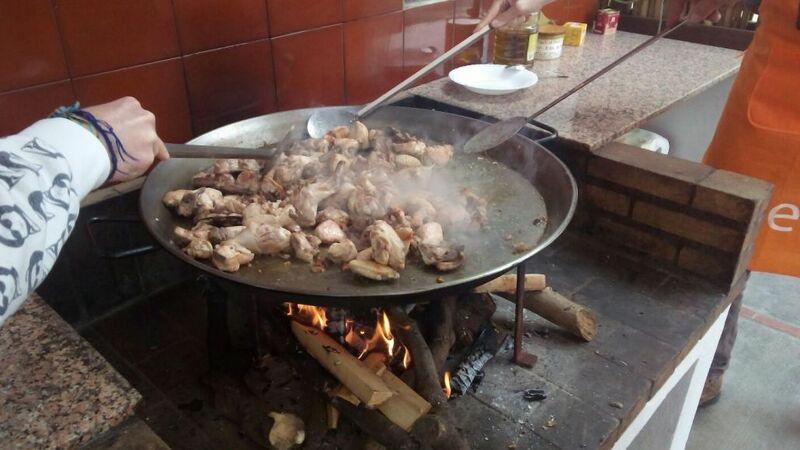 Advice and help at all times of an expert chef in Valencian paella. Instructions for the cooking of the paella. Ingredients necessary for the cooking of the paella. Harvest of fresh seasonal organic products directly from the orchard. Lunch menu including salad, ham and cheese, cooked paella, dessert, bread and drink. In the contest format the diplomas are awarded to the winners. Gastronomy is one of the most valued tourist attractions for those who visit us. The Mediterranean diet is recognized worldwide as the best. The variety of fresh product offered by the sea, the rich orchard and the mountain allow our food to be balanced and quality. And paella is part of our Mediterranean diet. 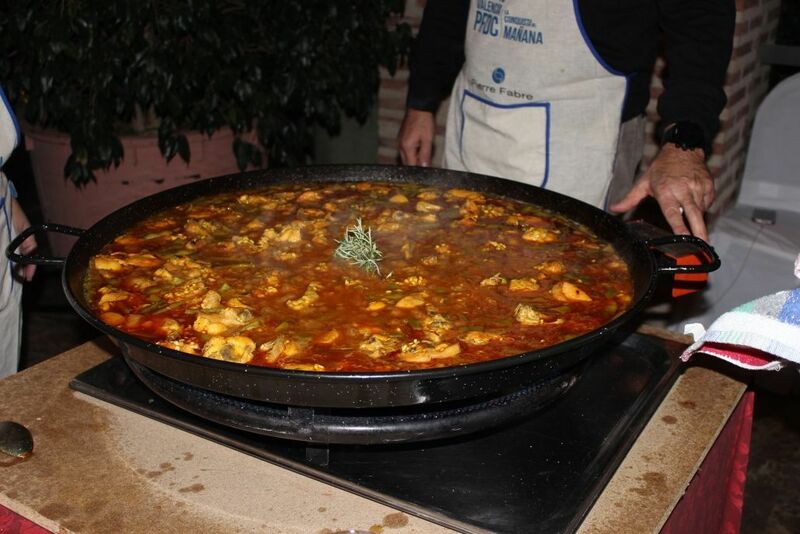 Every Sunday, in many Valencian homes, the family gathers to eat paella, chat and enjoy. Paella is the most international Spanish dish. It is an essential part of our identity as Valencian. 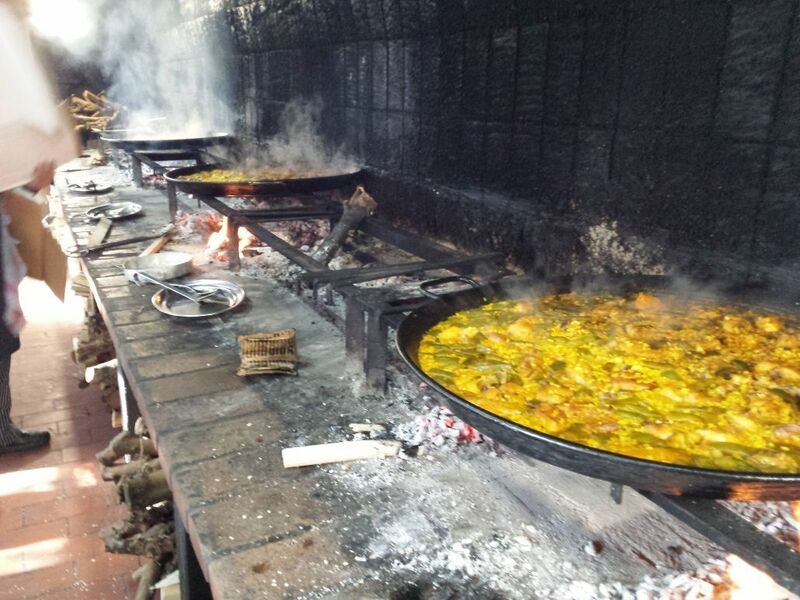 That is why the Valencian paella has already denomination of origin. 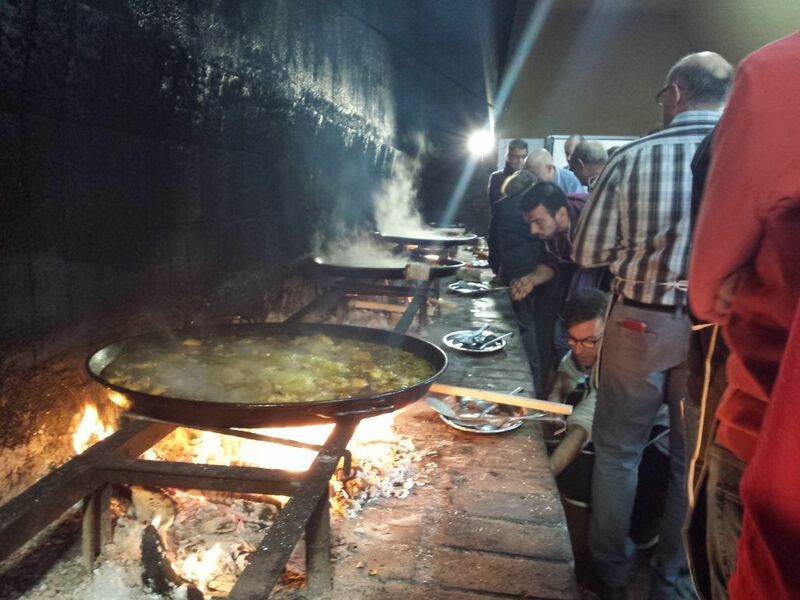 It is then our duty, as ambassadors of our city, to teach how to cook the authentic Valencian paella, to preserve its authenticity. Because you can’t call paella to a “rice-with-things”. 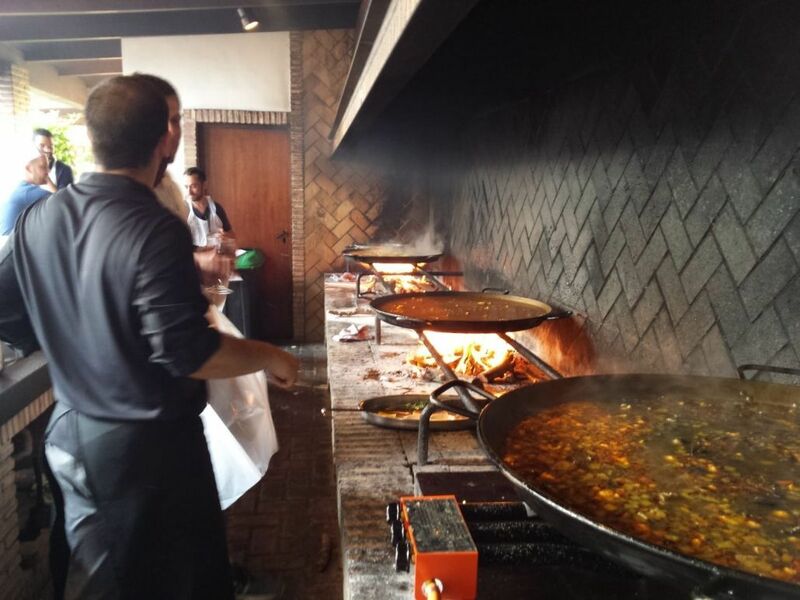 The paella has always served, as well as to taste so delicious dish, to enjoy the family and friends. It has always served to socialize and enjoy the company, to be with friends or family. It’s a social event above all. 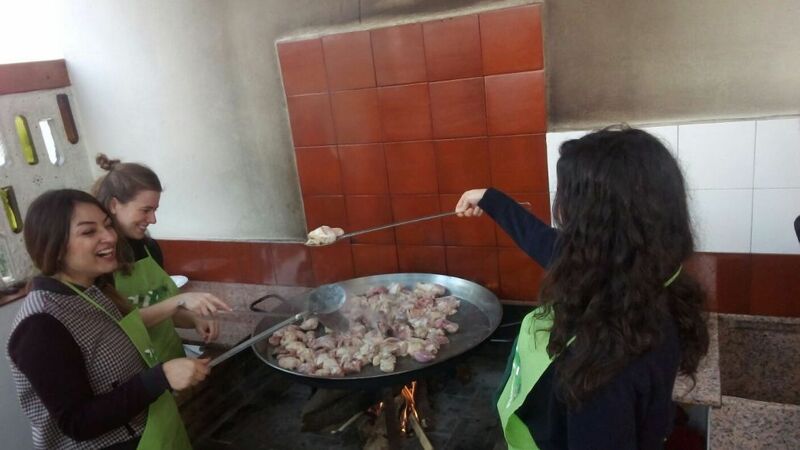 Unique places to learn how to cook the authentic paella with D.O. 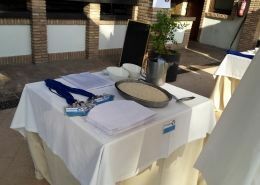 In Valencia there are many locations where we can carry out the paella workshop. Depending on the needs of each group we will adapt the workshop and look for the place that suits it best. All of them are unique locations. They all show our tradition and culture. Next to the Natural Park and Lake of the Albufera of Valencia. A unique place of great beauty because it is a protected Natural park. In addition this is the place of origin of the paella. 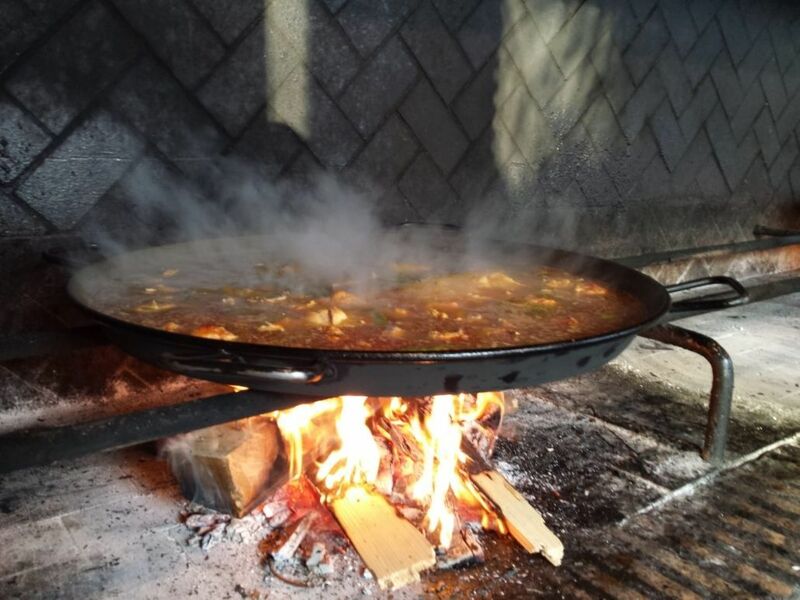 The Paella workshop is combined with a boat trip through some of the hundreds of canals of the lake in order to enjoy its native flora and fauna. We also visit a barraca (hut) to know where and how the farmers of the area lived. 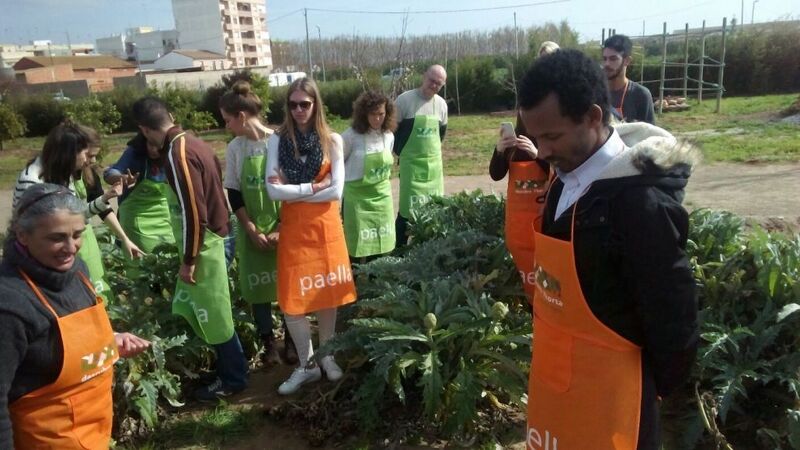 In the middle of the vegetable garden of Valencia. The rich orchard of Valencia allows us to carry out a different workshop that revolves around its fresh organic products. 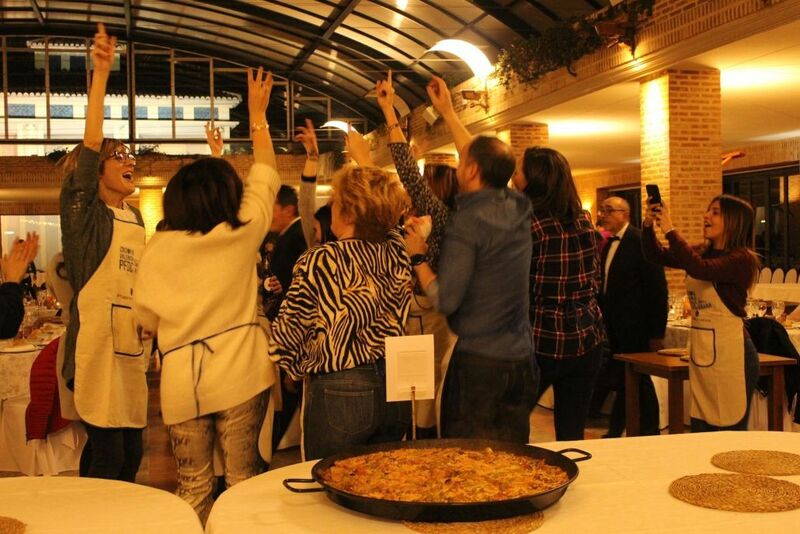 With kilometre 0 products and a commitment to sustainability, a fun and interesting paella workshop is held. 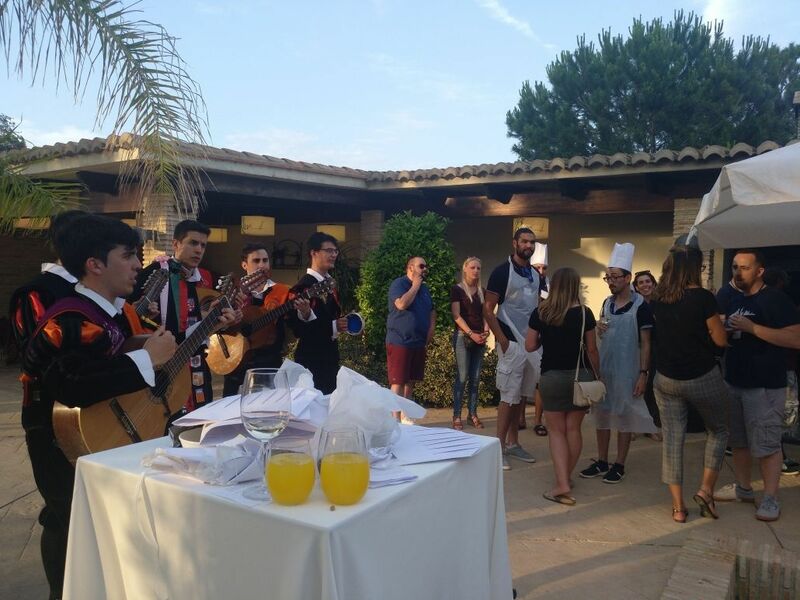 The groups collect part of the ingredients of the paella directly from the orchard to prepare them for the preparation of the recipe. In Hall of events next to the orchard of Valencia. 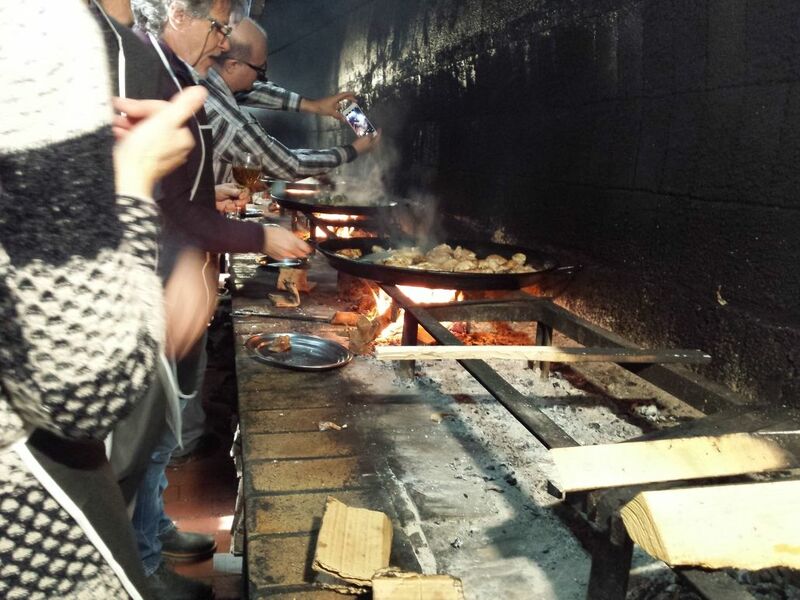 This location is perfect for very large groups or if the paella workshop is held in cold months or if it is bad weather as it allows you to be covered throughout the whole activity even during the cooking. In this case the environment is also spectacular and will not leave anyone indifferent. In the center of Valencia. The Paella workshop in the center of Valencia gives us the option to make first the purchase of the necessary ingredients in the Central market (as long as it is not Sunday or festive as it would be closed). The privilege of being in the heart of Valencia gives the opportunity to combine this workshop with many cultural options. With this format the groups will have fun competing to cook the best paella. Always advised by an expert chef who will help you at all times. at the end of the cooking of the dishes the work of the teams will be scored (participation, teamwork, attitude, cleanliness, etc.) as well as the cooked paellas (presentation, flavor, cooked of rice, etc.). 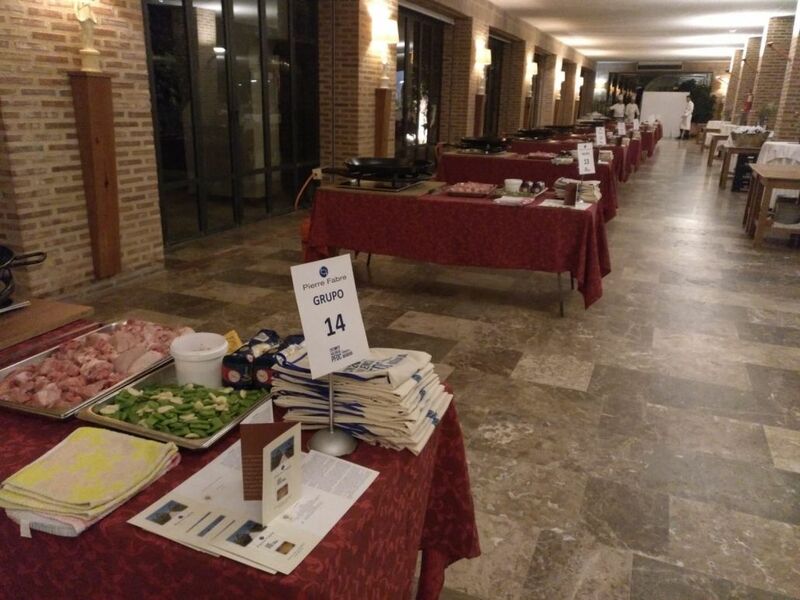 After the meal or dinner of the group, in which they will have tasted the dishes made by themselves, the diplomas and, where appropriate, the prizes, will be presented to the winners of this contest. This format is highly recommended for events or incentives in Valencia because it promotes competitiveness, teamwork and fun is assured. And to complete it and provide more fun, if possible, the activity of the infiltrated chefs or waiters will make your event a guaranteed success.